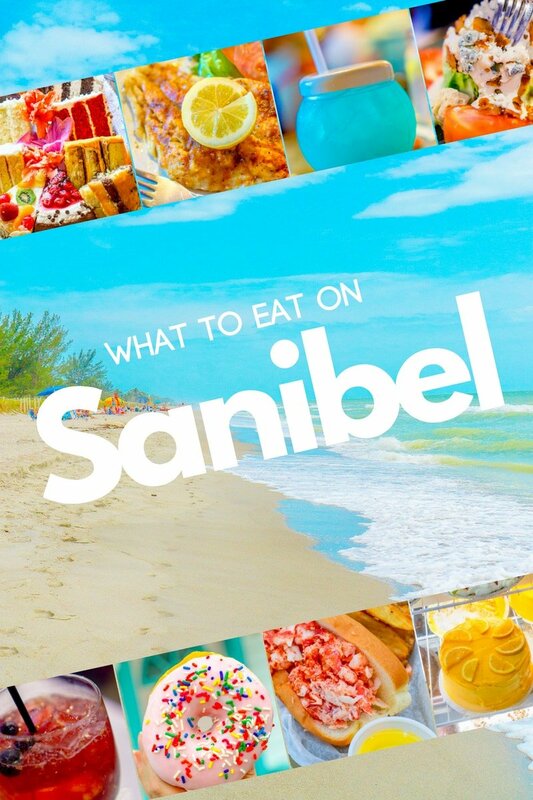 What to eat on Sanibel Island Florida – the best food finds on the gorgeous gulf shore barrier island known for its gorgeous white sand beaches and tons of gorgeous shells. 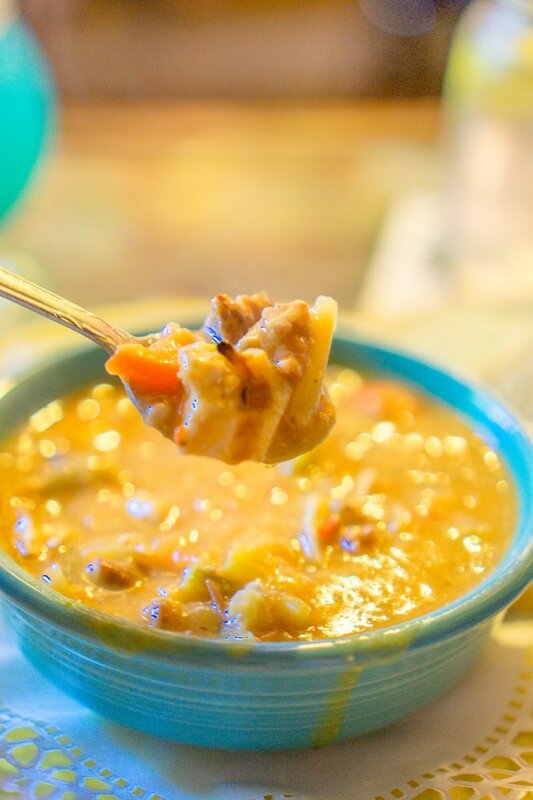 My favorite food finds for breakfast, lunch, and dinner on Sanibel Island! 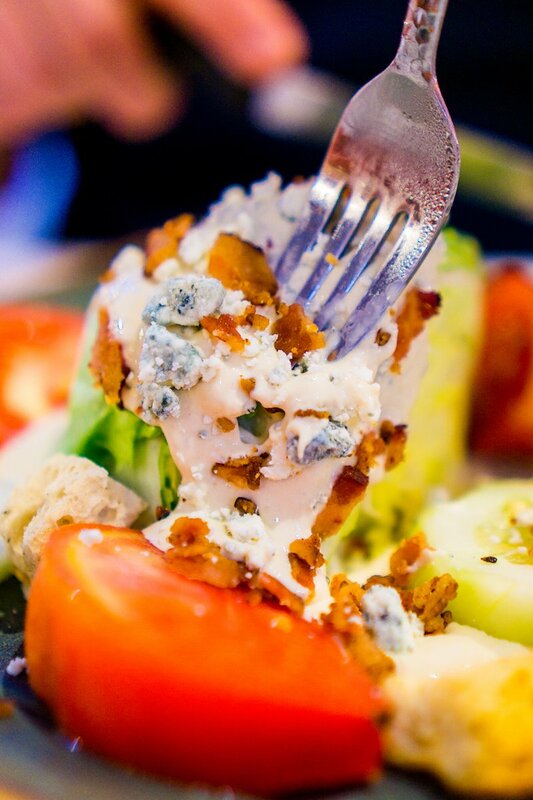 Sanibel is known for their spectacular shells and white sandy beaches – but it should also be known for all of the amazingly delicious FOOD! 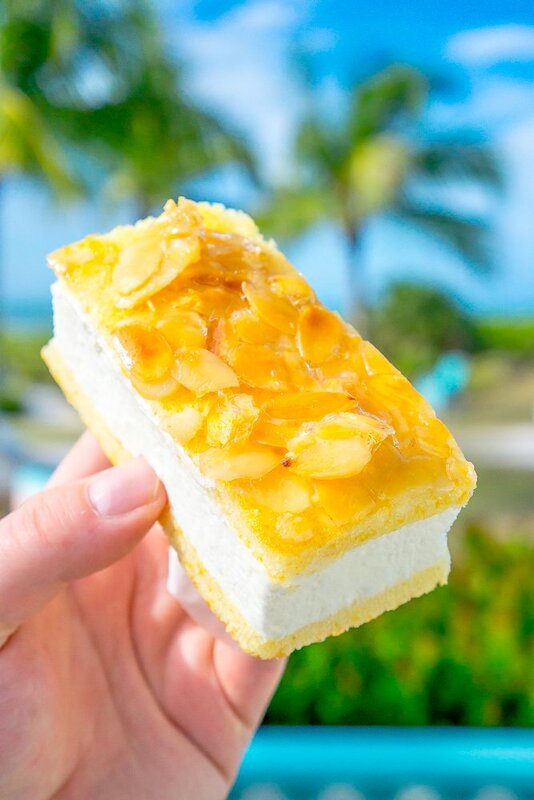 Sanibel has tons of delicious picks just waiting for you to find – from sweets and treats to fresh fish and some killer cocktails – I spent most of my short time on Sanibel eating and drinking EVERYTHING! Good thing the beaches are so lovely for a stroll, because I had a LOT of walking off calories to do. 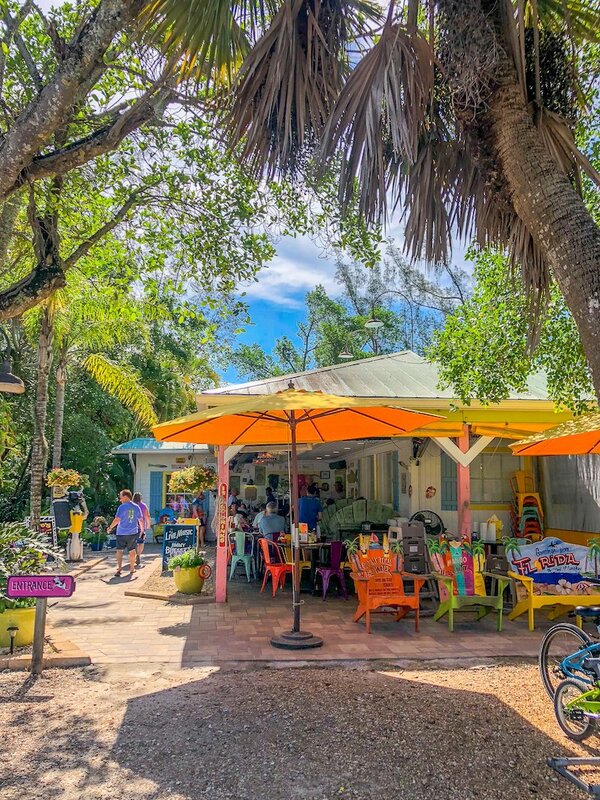 When you think of a beach town, breakfast might be one meal you overlook – but on Sanibel it shouldn’t be! From hearty home-cooked classics to fresh seafood and Florida fruits, Sanibel has you covered for delicious breakfasts – here are some of my picks. 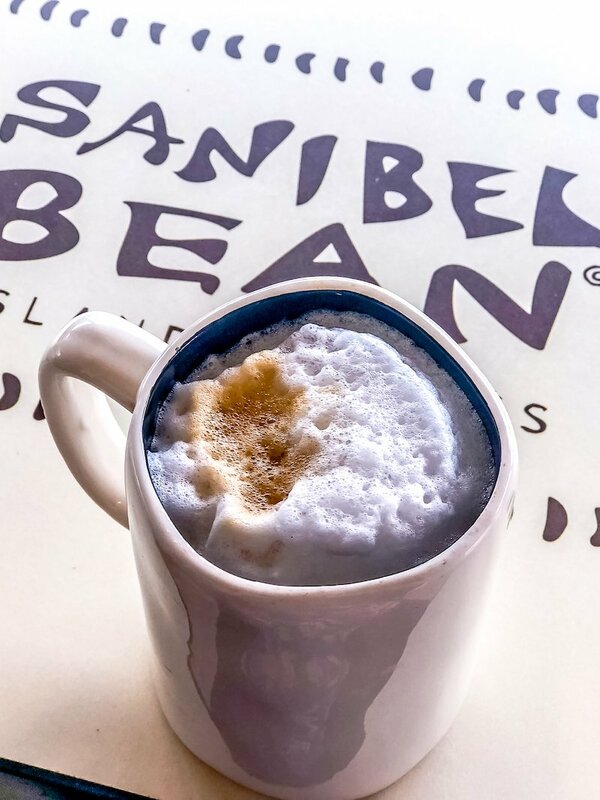 If you’re looking for great coffee on Sanibel – The Sanibel Bean should be your first stop! From Cubanos (my favorite – nothing better than a Cuban coffee to start your day! 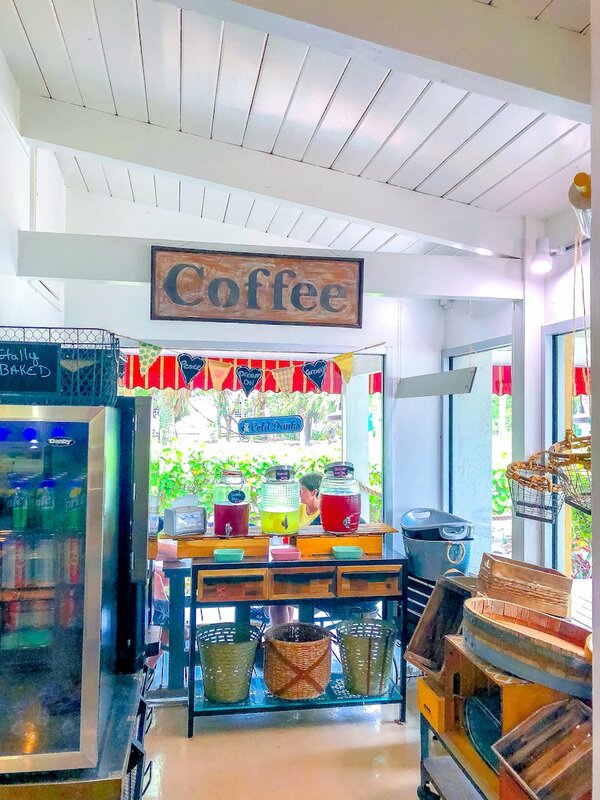 ), to lattes and cappuccinos – the Sanibel Bean has amazing coffee, offers pastries and breakfast sandwiches – either to-go or to enjoy in-store. I could have spent the entire trip just at Totally Baked eating my way through their fresh baked goods, both sweet and savory. 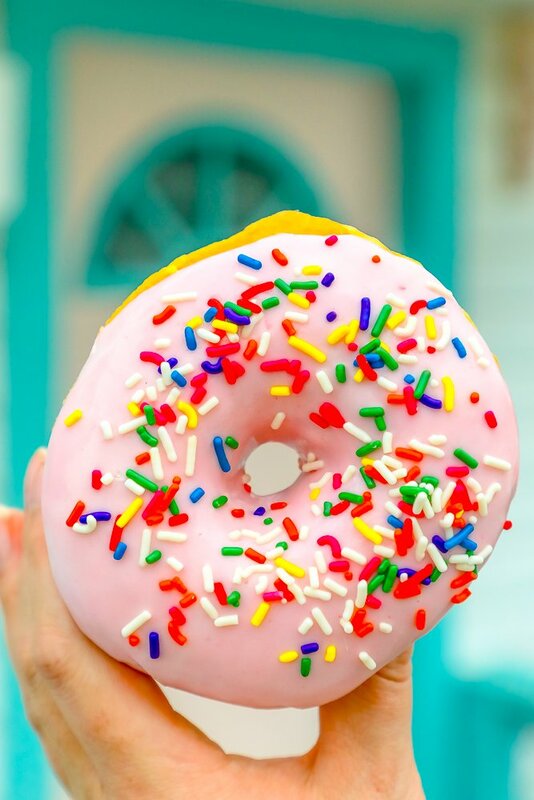 If you’re picking up sweets for a crowd, or looking for coffee and a donut to start your vacation off right, head right to Totally Baked for some delicious treats. 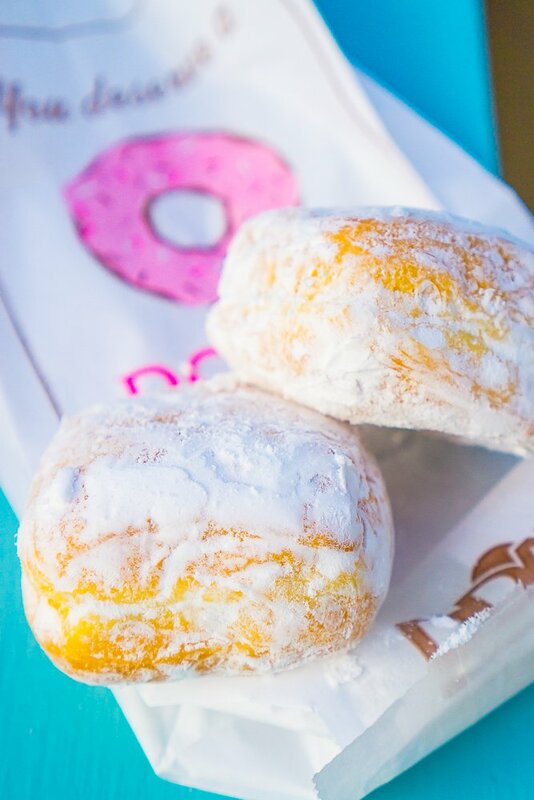 Totally baked offers a lot of sweet ways to start your day – but I HAD to try the pink sprinkle donuts (which were totally adorable), and the fresh hot beignets. I regret not trying one of the homemade breakfast sandwiches, but when pink icing and sprinkles are involved, I am powerless! Both were perfect – buttery, rich, and sweet without being overpowering. Totally baked on Sanibel isn’t just great for breakfast though – they also make fresh carved sandwiches on their homemade bread (I about drooled all over my shirt walking into the store when I saw their roasted ham ready to be carved…), from-scratch gumbo and chowder, and tons of desserts! 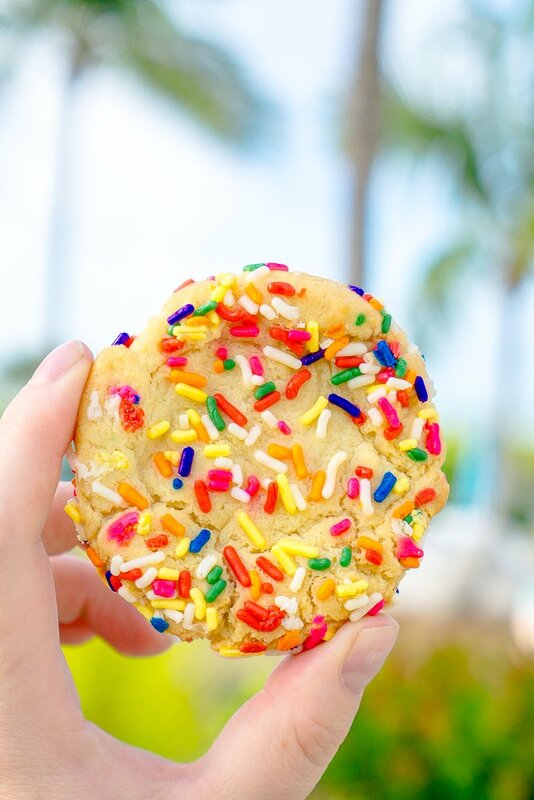 And of course, I had to try one of their sprinkle sugar cookies. It was soft, buttery, sweet, and perfect! 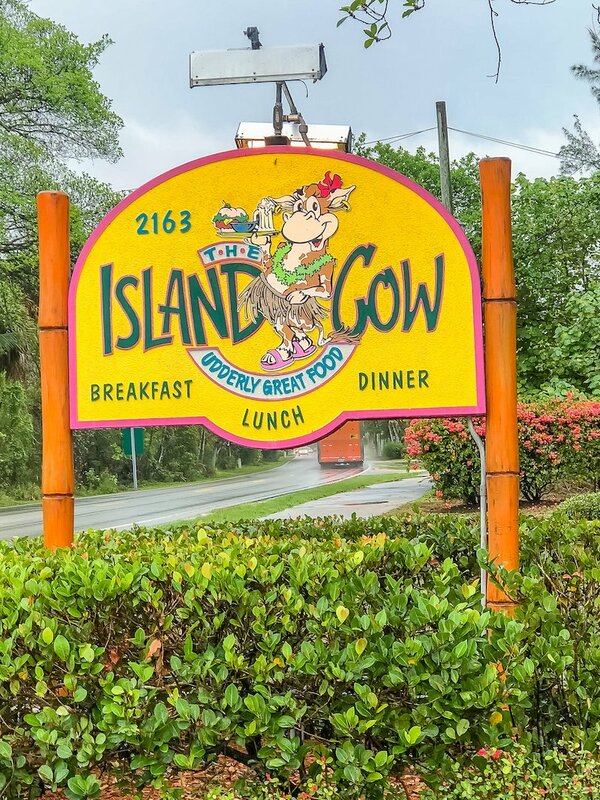 The Island Cow was one of my favorites on Sanibel – and based on how packed it seemed to always be, I am not the only person who would say that! The Island Cow is right off Periwinkle in the middle of Sanibel, making it incredibly easy to get to. 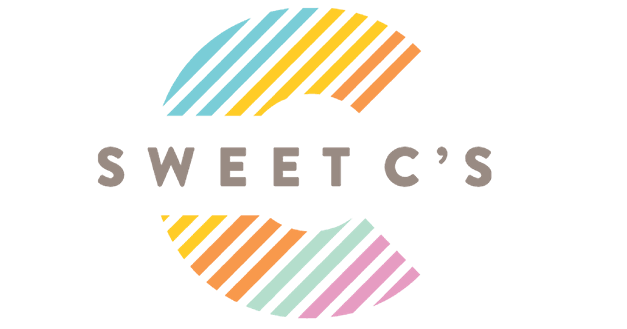 It’s a fun, casual, and really laid back restaurant decked out in tons of cow and bright beach themed decor with a full coffee bar (offering Starbucks drinks), as well as a fun party bar out back. 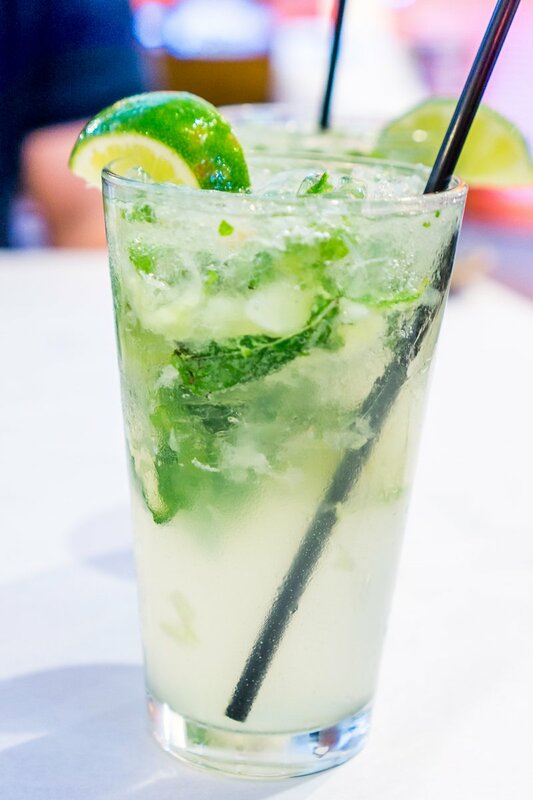 You can’t help but have a good time at the Island Cow! 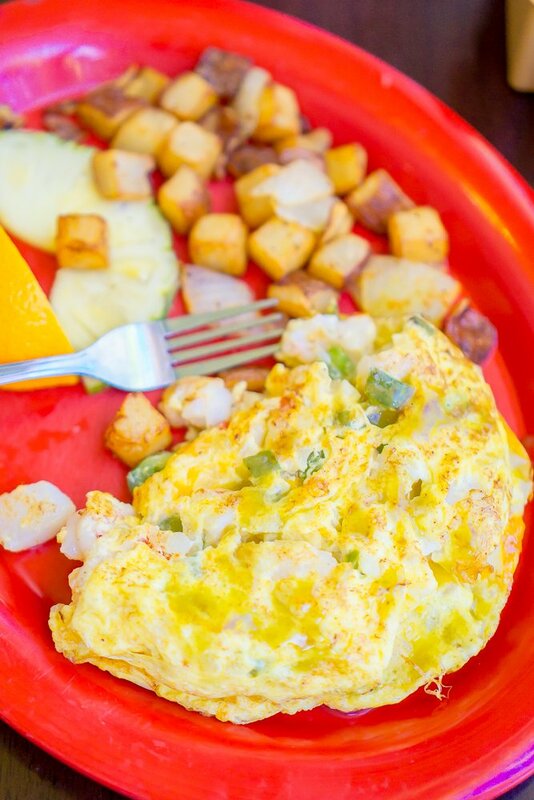 My favorite breakfast on Sanibel was from the Island Cow – the Loaded Seafood Omelette! I loved the Seafood Omelette at the Island Cow so much, I ate it two days in a row. Deliciously huge shrimp, scallops, and crawfish – with light and fluffy eggs and perfectly melted cheese made the seafood omelette at the Island Cow on of my absolute favorite meals on Sanibel Island, hands down! 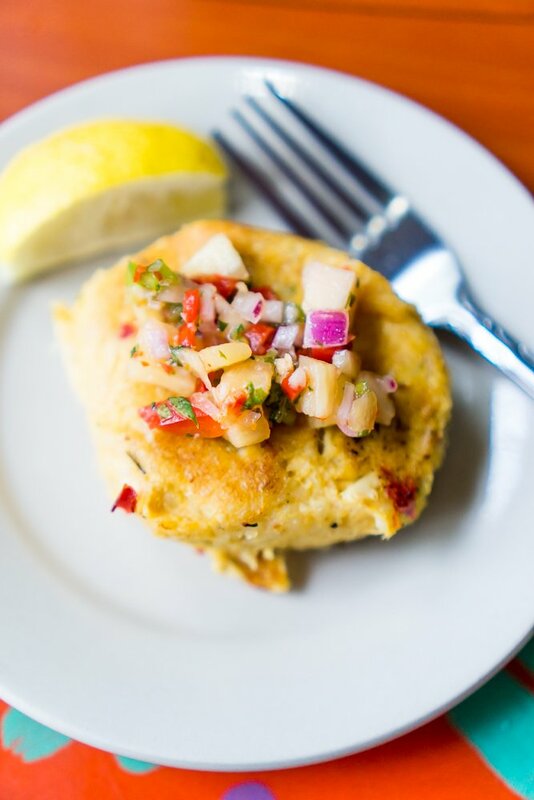 The Island Cow also brings you a fresh muffin when you sit down to your table – but I saved all my room for the perfectly crisp potatoes and all that delicious seafood. 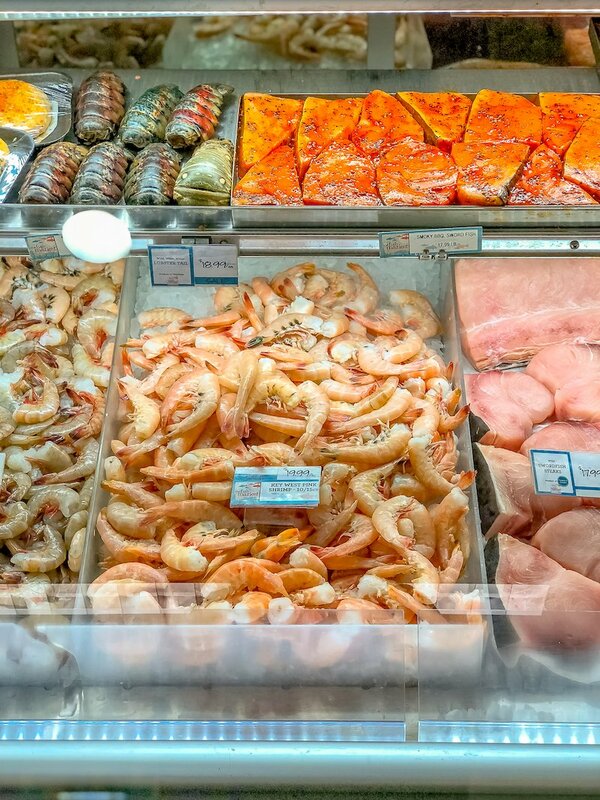 The best part of the omelette is the price – I don’t think I could make a seafood omelette with huge shrimp and scallops packed inside for less than it is on the menu – talk about an awesome deal! The Island Cow was always packed – often with a line – but trust me, it is totally worth it! 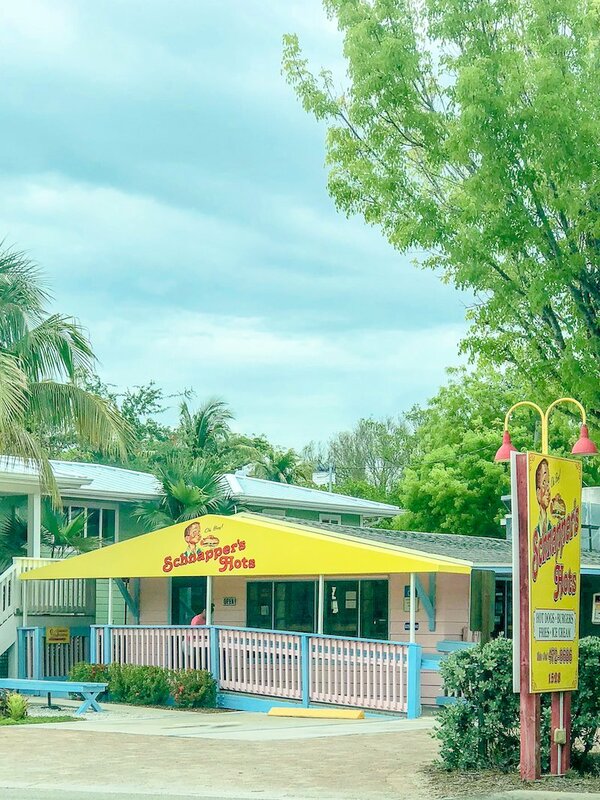 Schnappers hots has delicious fresh hot dogs, hamburgers, ice cream and other beach-stand style classics for a quick lunch on the go. Walk up and order from the window, and hang in one of the picnic tables or head to the beach with your goods! The Bubble Room is over the bridge on Captiva Island, a short drive from where we were staying on Sanibel. I’m going to share more about the Bubble Room in a post coming soon, but I can’t talk about all of the tasty treats to find on Sanibel and not mention the Bubble Room! 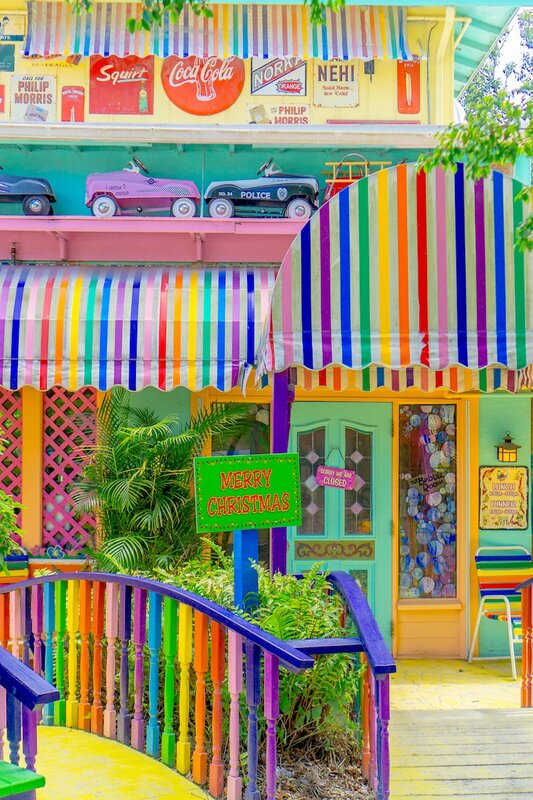 Right as you pull up, you know you’re in for something unique – the Bubble Room is bright, colorful, and fun from the second you enter the parking lot – you can see a lot of the kitschy collections from Hollywood and other classic Americana decorations as you walk into the restaurant. Don’t miss the “Merry Christmas” sign out front – The Bubble Room has declared everyday to be Christmas! Once inside, it’s all about the food. 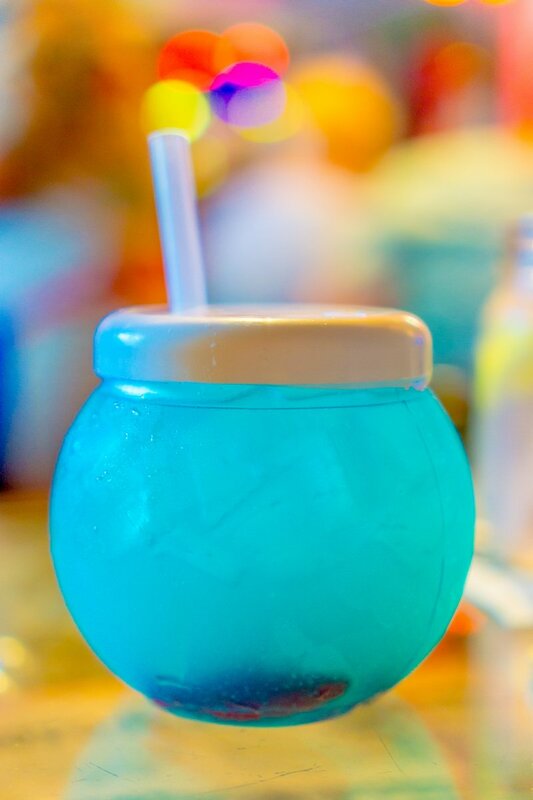 We started off our meal with cocktails – a Bloody Mary for my husband, and the bright blue Captiva Cooler (complete in a fishbowl with Swedish Fish swimming around). 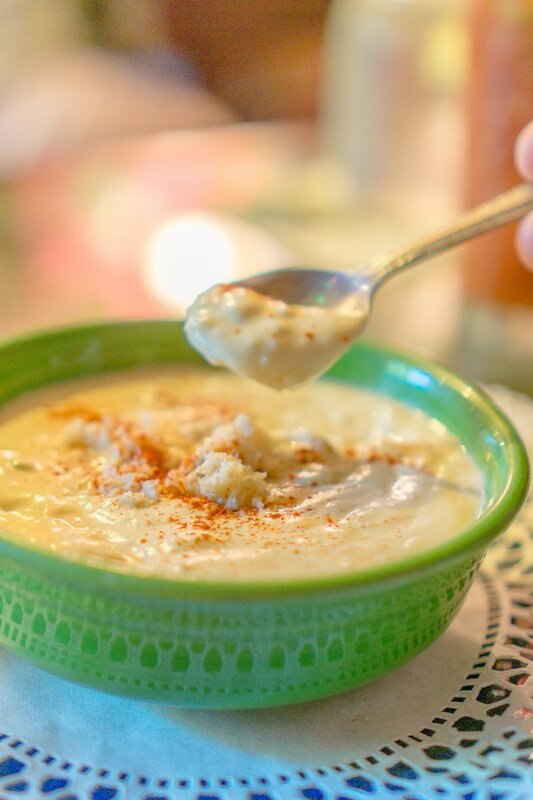 We then moved onto soups – my husband ordered the creamy and rich She Crab Soup, overflowing with fresh crab meat – and I had the gumbo-like Moon over Miami that was thick, spicy, and bursting with flavor! No trip to the Bubble Room is complete without cake though – and this was probably one of the hardest decisions we had to make while staying on Sanibel! 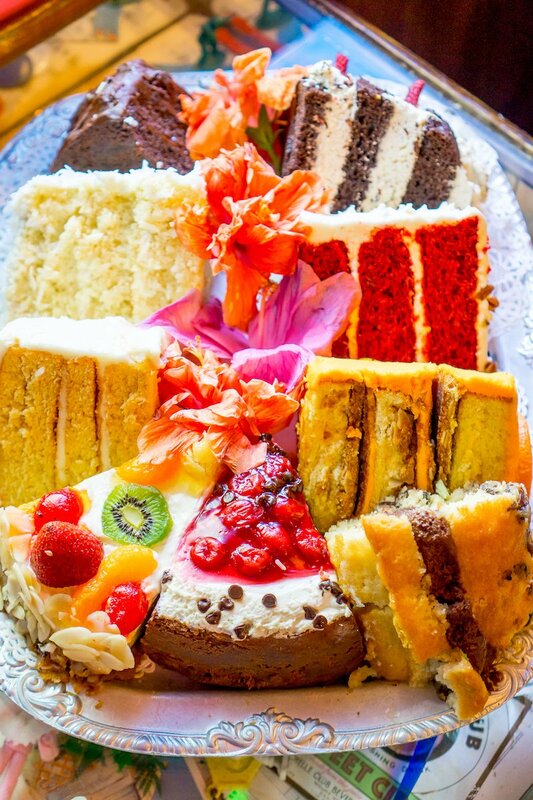 The Bubble Room is known for their amazing cakes – and after you’re done eating, your waiter brings around a tray that is packed with cheesecakes, layer cakes, and tons of gorgeous desserts just ready to be gobbled up. They are all bright and beautiful – it was hard to not just take the tray and dive right in. We ended up going for the famous Orange Crunch Cake – and I am so glad we did. 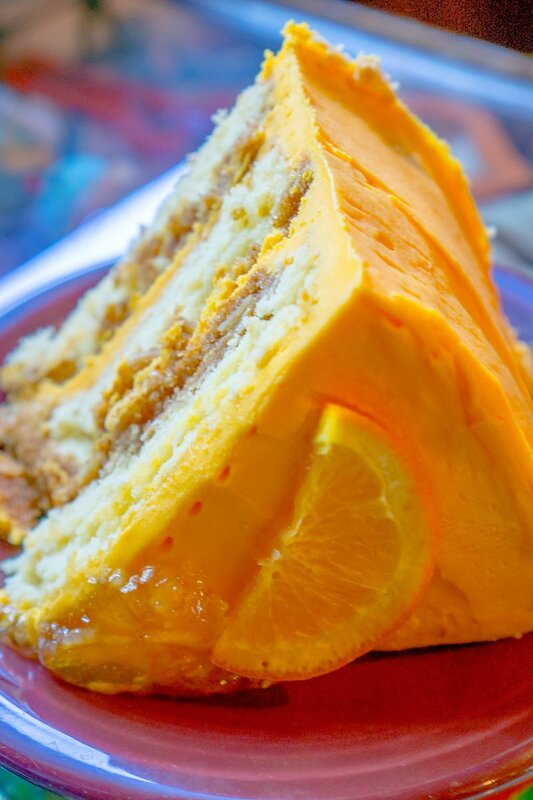 It was amazing – light fluffy cake with a sweet orange icing and crunchy brown sugar bits in between layers of cake. I could eat that cake every day – I am glad I live so far from the Bubble Room, or I’d be in big trouble! 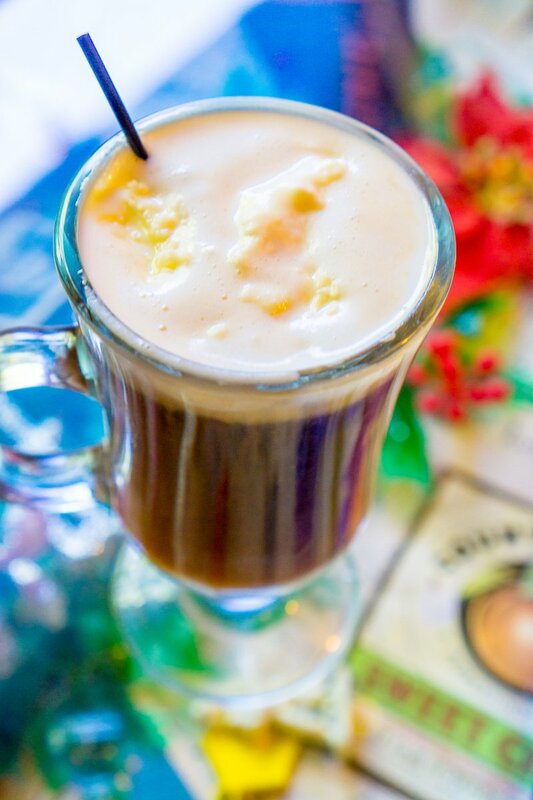 We decided to finish off our lunch with an Irish Coffee – a perfect boozy end to an over the top delicious lunch! 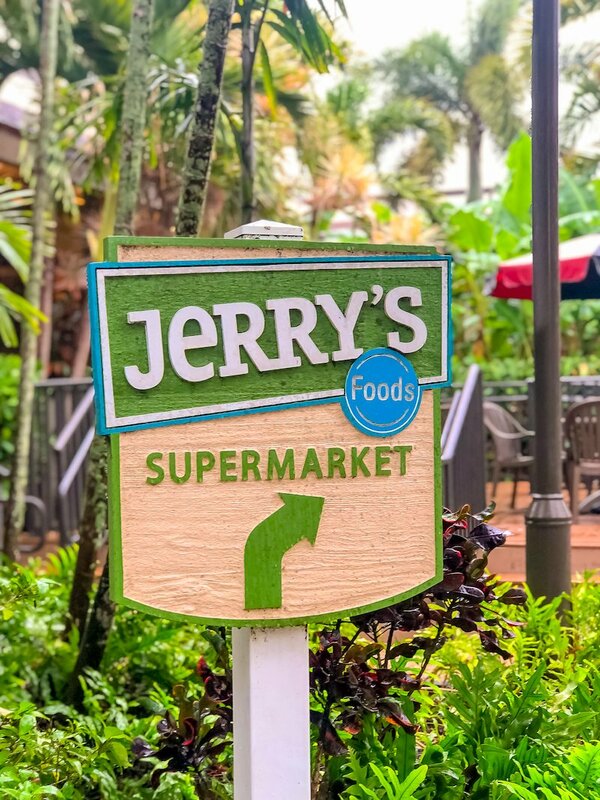 If you’re looking for a laid-back lunch or meal you can make and bring to the beach or BBQ at your rental, look no further than Jerry’s Foods. Jerry’s Market is an amazing small-chain grocery store in Sanibel that has everything you need for an drool-worthy delicious time on Sanibel – from gorgeous fresh fish (many pre-marinated in drool-worthy marinades), great vegetables, gourmet sandwiches and cheeses, as well as their own Starbucks, Jerrys had so much. I was bummed we weren’t in town longer, because our hotel had perfect BBQs and Jerry’s had some fresh fish just begging to be grilled by the beach. 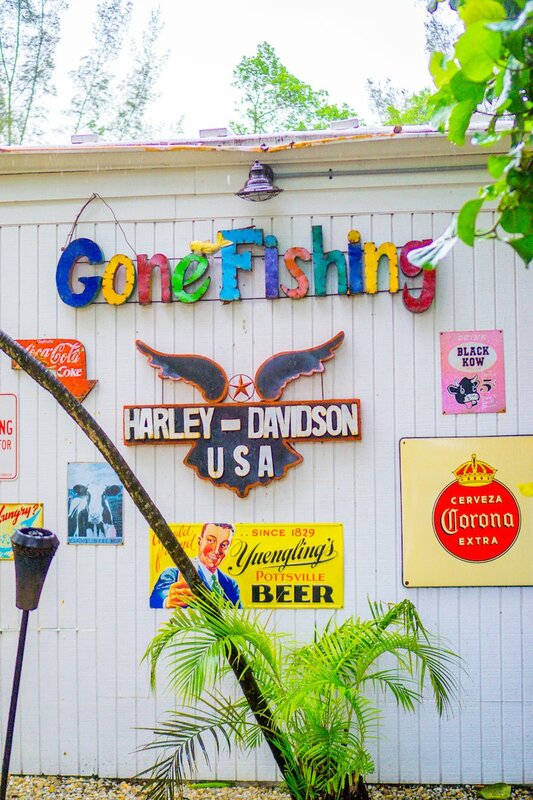 When you walk into Jerry’s, don’t head in too quickly – walk through the courtyard, checking out the numerous gorgeous tropical birds they have on display. 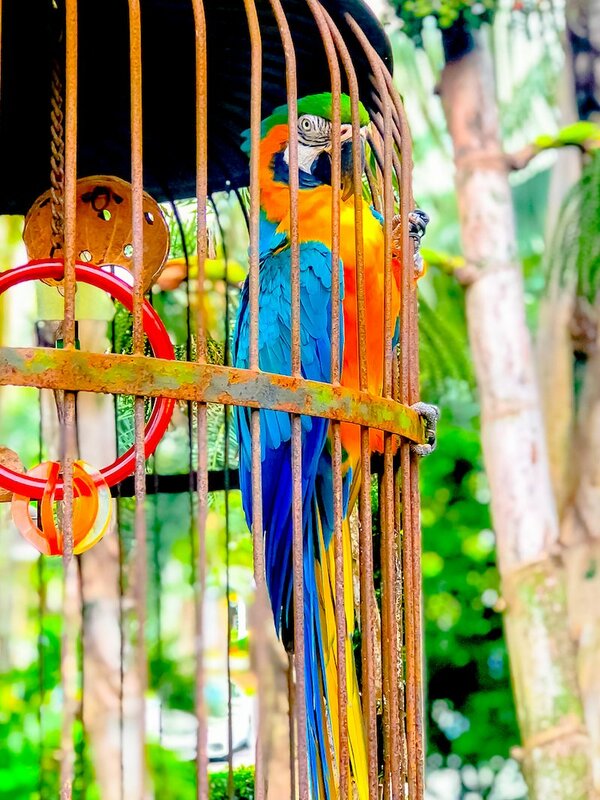 The birds have large, cozy cages and often shout “hello” as you walk past – they were such a fun feature. I wish my kids could have seen them – they would have loved it! 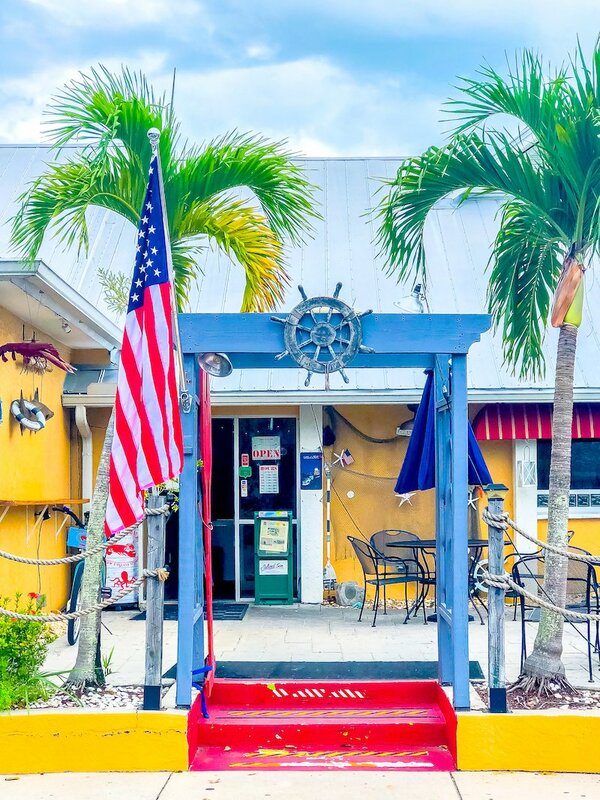 Traders is the perfect romantic restaurant for a nice night out in Sanibel – from an upscale casual dining room, to the fun bar area (they often have live music on weekends), to the store offering tons of Floridian goods – Traders was a great romantic date night spot! 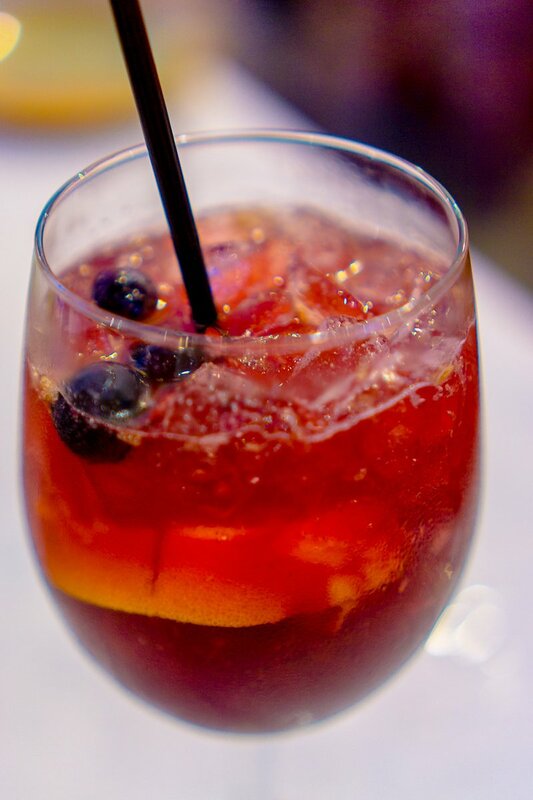 The cocktails were spectacular – sweet and fresh – but not cloyingly sweet. The sangria was lovely and bright (sangria sometimes is too sweet for me, but I could’ve sipped gallons of Trader’s sangria all night long…), and the mojitos were light, refreshing, and boozy to get the night going. 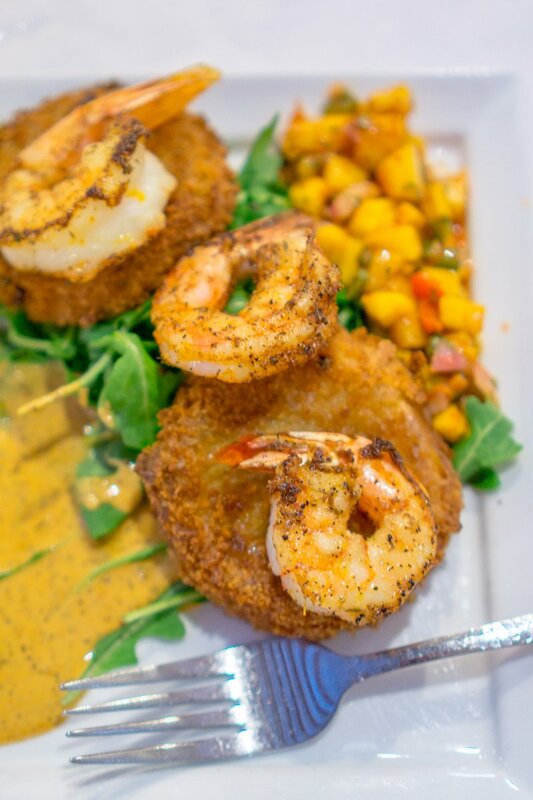 We opted for classics like Fried Green Tomatoes and Shrimp, Oysters, and fresh seafood – and loved every bite! One of our favorite dishes from Trader’s was the pan fried scallops with lobster revioli I ordered – the scallops were cooked perfectly – with a crunchy caramelized top and perfect springy middle – and tasted heavenly alongside the bright yellow and black ravioli with tons of decadent lobster meat inside. 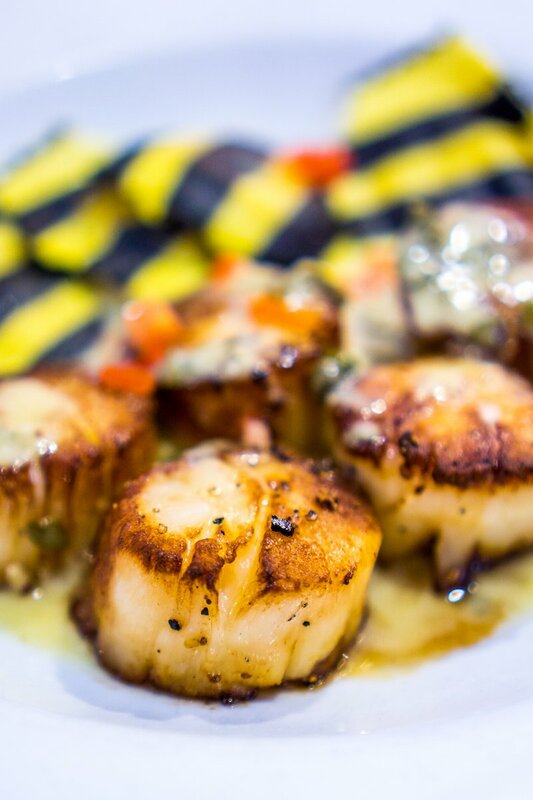 Traders was the perfect spot to head to for a more romantic meal on Sanibel – the decor is upscale casual and clean, less cluttered than bright bar decor that abounds on Sanibel. 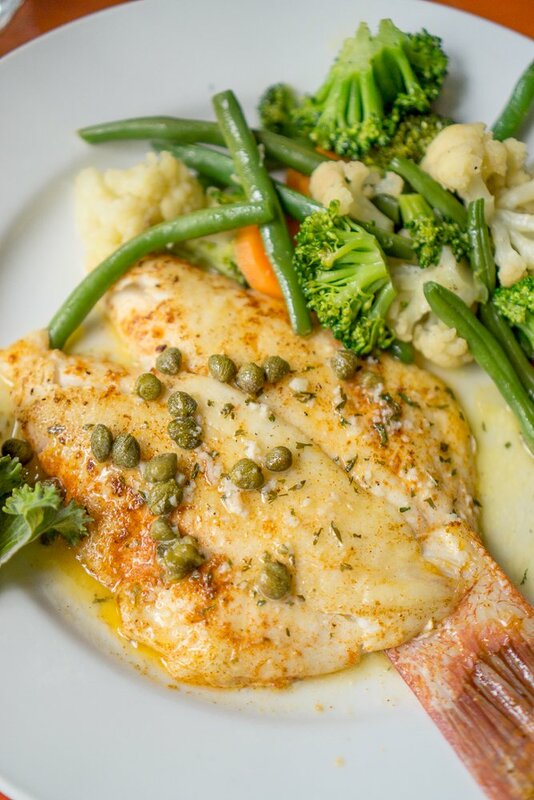 The Fish House on Sanibel offers tons of Key West Style Floridian dishes everyone knows and loves – and is a great, fun, and laid back spot for dinner right off Periwinkle drive. 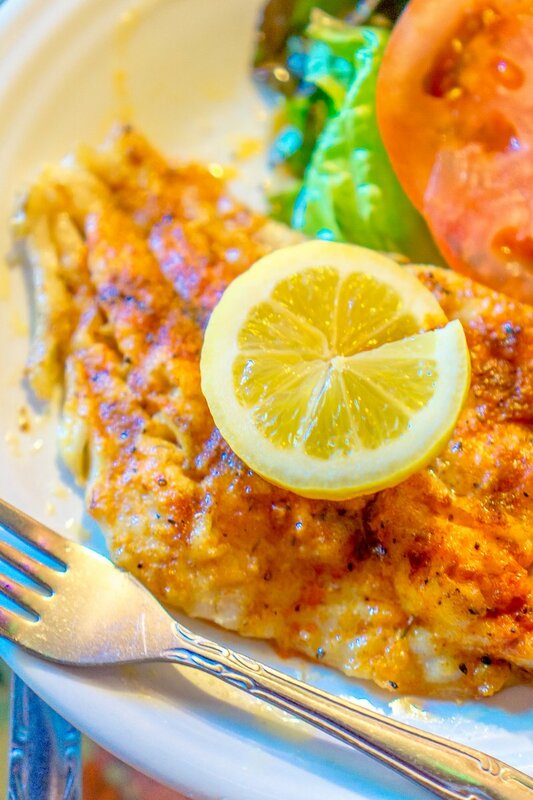 The Fish House offered a ton of gluten free options, making it a great choice for dieters or GF diners – even many breadcrumb staples were made gluten free at the Sanibel Fish House, which was a really nice surprise and great for GF vacationers in Sanibel! 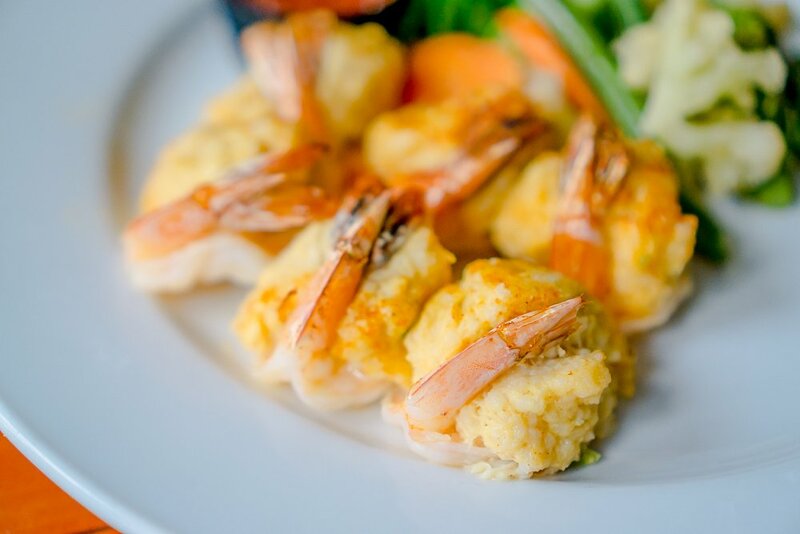 We sampled the gluten-free crab cakes and mussels to start which were delicious appetizers – and then moved on to stuffed shrimp (another appetizer we just couldn’t pass up splitting), and the Hogfish. 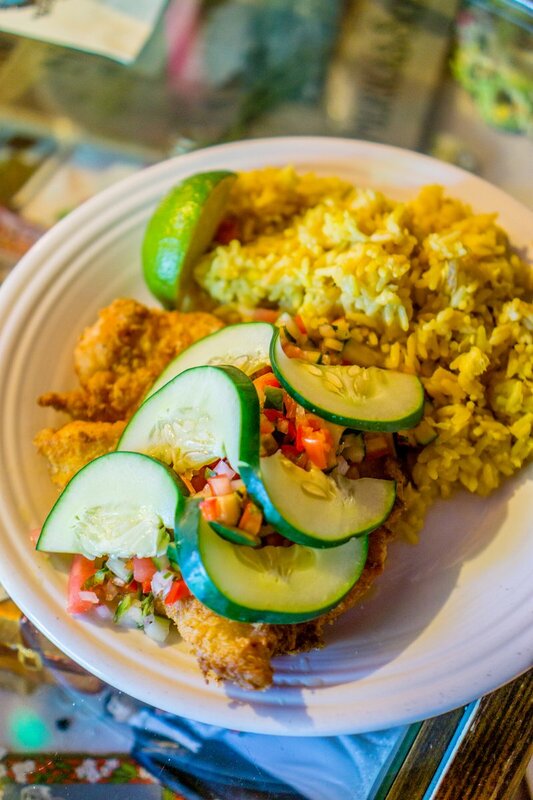 I had never had hogfish before – but it is a light, buttery, and un-fishy fish with a pleasant texture. It is hard to find outside of Florida, but I will be keeping my eyes open for more hogfish in the future because it was really, really good! 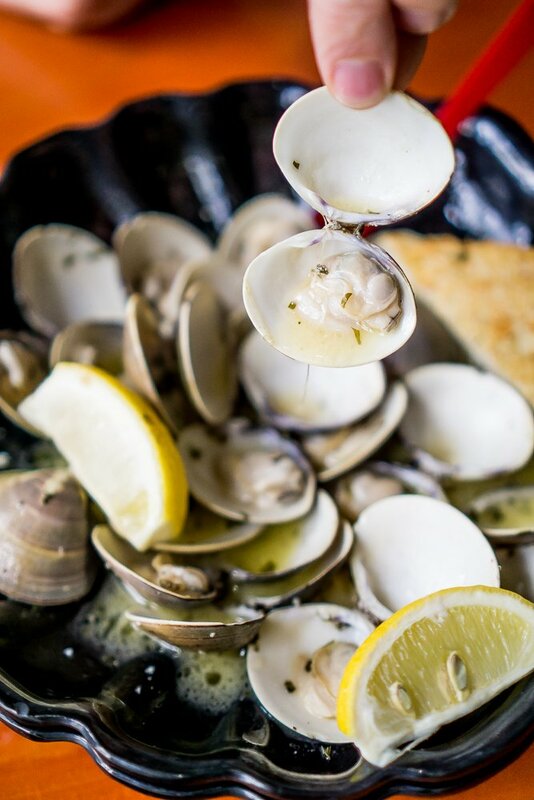 While the Clam Shack is a bit of a departure from Sanibel’s very Floridian charm – it is adorned with all things New England, in the style of a Massachusetts Clam Shack – the Clam Shack had some of my favorite foods on the trip! The calamari, which was on my plate about 4 whole minutes after I ordered it, was some of the best calamari I have ever eaten – it was cooked perfectly, very lightly battered, and a delicious crunchy golden brown. 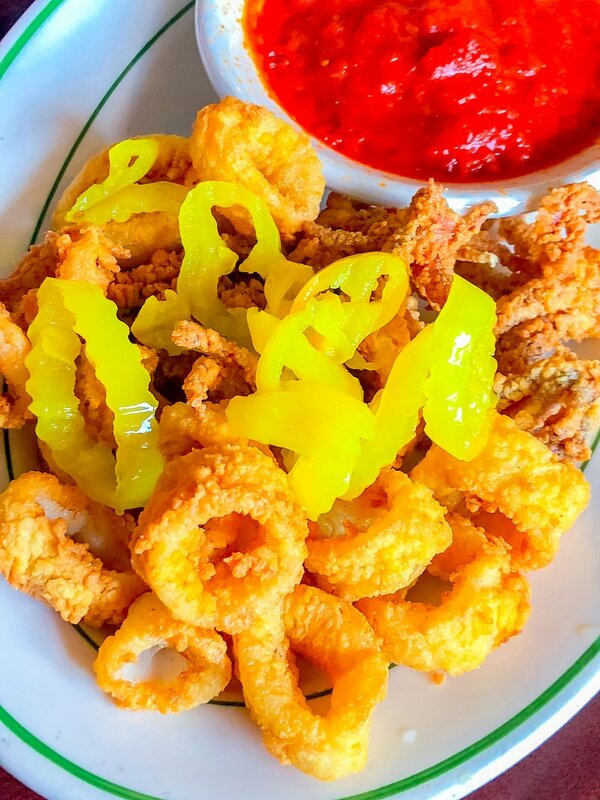 I love New England style calamari – topped with a jardiniere or banana peppers like the clam shack serves them – for a slightly spicy and tart twist to the legendary appetizer. 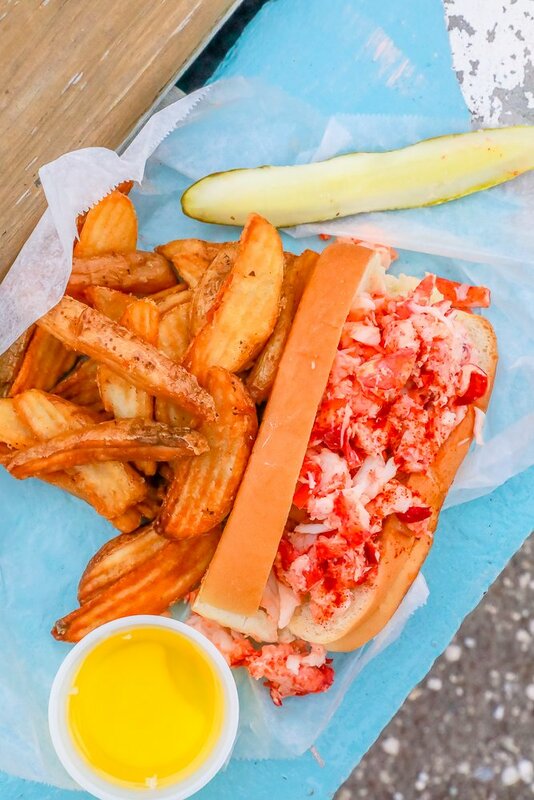 The real star at the Clam Shack, however, is the lobster roll. I can’t say enough about this sandwich – from the insanely affordable pricetag, to the heaps and heaps of rich, sweet lobster meat piled inside, to the perfectly toasted and buttery piece of texas toast it is served in – the lobster roll was purely heaven-sent! 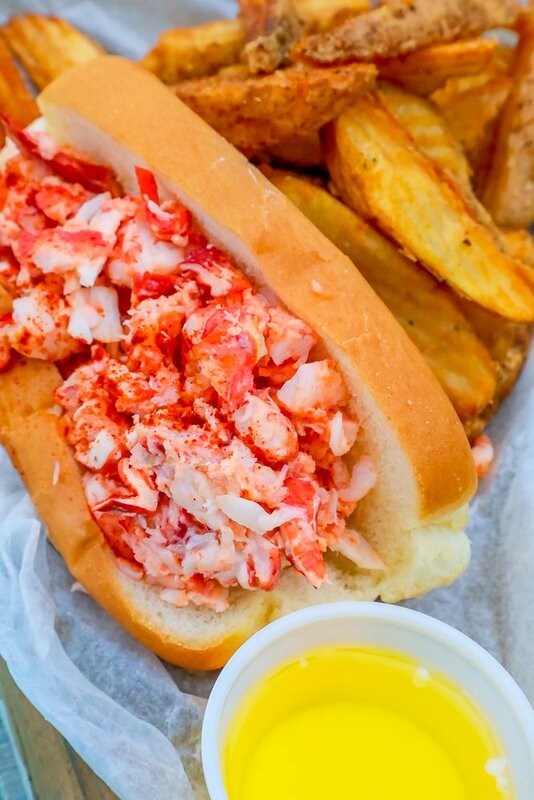 The crispy and crunchy fries the lobster roll came with are very lightly battered and well seasoned to take this classic New England seafood staple up a notch. You might be wondering where the mayonnaise in this lobster roll is – they actually don’t add any – and I didn’t miss it one bit! The lobster meat is so tender, fresh, and juicy there was no need for anything else – but the fresh drawn butter to drizzle over the sandwich was of course a great addition I couldn’t pass up! 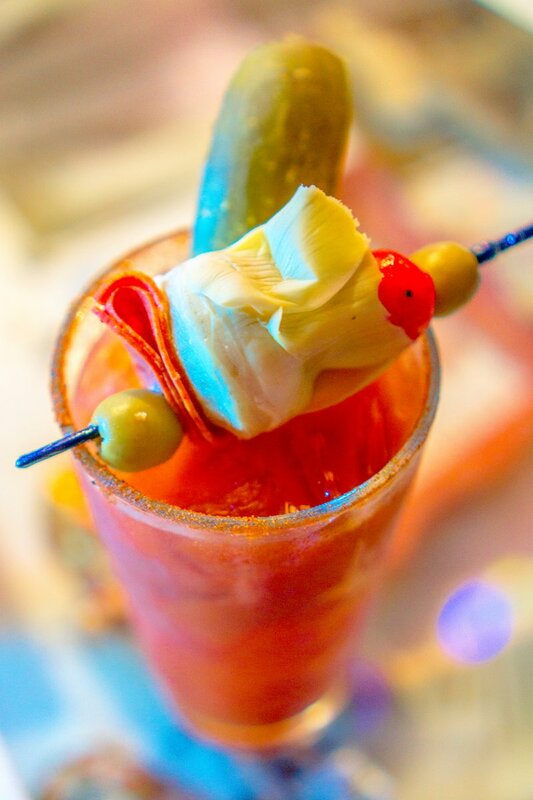 What are YOUR favorite eats and drinks on Sanibel? Which spot did I miss that should be at the top of my list for my next visit to Sanibel? Leave me your answers below! I agree with you there is a lot places to eat and I love the Island Cow from there breakfast to lunch and supper we have there several times it’swonderful but always crowded. Next time there I have eaten at the Jacaranda which is also a nice place to eat for date night and the food is wonderful. There is also another place to eat if you like wonderland cheeseburgers and shakes and that is Cheeseburger cheeseburger on Periwinkle but make sure that you are really hungry cause the burgers are big and they have approximately 20 or so different milkshakes and it’s great. I love going to Jerry’s market the birds are so cute and talkative and the seafood is so good for a barbecue. I can’t wait to get there in about 4 months in October. OMG. looks so beautiful and yummy!